The Autism Center is part of the University of Iowa Children’s Hospital. They coordinate with the following departments to provide evaluations, behavioral assessments, treatment recommendations, and ongoing follow-up care. 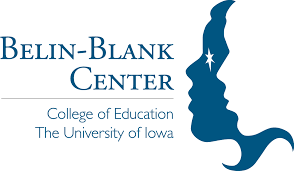 The Belin-Blank Center provides a variety of services and programs aimed at gifted individuals, including “twice-exceptional” students through their National Institute for Twice Exceptionality (NITE). Twice-exceptionality refers to gifted students who have learning, behavioral, and/or social-emotional difficulties. NITE provides a clearinghouse for resources related to the topic of twice-exceptionality. Belin-Blank also provides assessment and counseling for twice-exceptional children and their families. communication, behavioral, and psychological assessments. The CDD is part of the University of Iowa Children’s Hospital. The DRL is located on the first floor of the Center for Disabilities and Development. DRL collections focus on information for, by, and about people with disabilities. 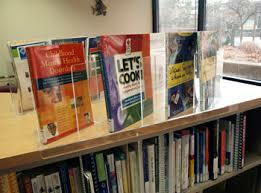 Materials come in a variety of formats — books, DVDs, training curricula, software, and assistive technology. You can borrow materials in person or by mail. Resources are offered on three week loans free of charge to people with disabilities and their families, as well as to service providers. There is a great play area for children to make it easier for parents to browse the materials. CHSC serves children and youth, birth through 21 years of age, who live in Iowa and have a chronic condition (physical, developmental, behavioral, or emotional) or are at increased risk for a chronic condition and also have a need for special services. CHCS provides several different programs, a few of which are listed below. A complete list can be found on their website. The Child Psychiatry Clinic is part of the University of Iowa Children’s Hospital. Services are provided by psychiatrists, psychologists, social workers, and nurses. Multiple providers specialize in autism, including autistic children with co-morbid diagnoses such as anxiety. 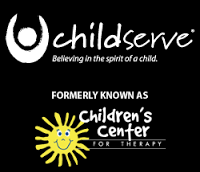 Child Serve provides a wide variety of services to kids with developmental disabilities and their families, including speech, occupational, behavioral and physical therapy, as well as support groups, hippotherapy, social skills and respite care. 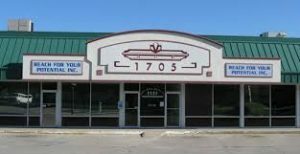 They have two locations – one in North Liberty, the other in Iowa City. 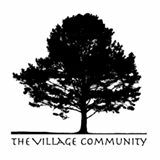 A Saturday morning support group for families is free and runs concurrent with social skills classes for kids. Childcare is available, also free. Pet therapy providers and assist with general dog training questions or questions about companion dogs for children with autism. PIH is a program of the Child Health Specialty Clinics. CHSC is contracted with PIH to provide care coordination and family support services in eastern and northeastern Iowa for children and youth under 19 years old who are eligible for Medicaid and have an emotional disorder, including autism. Family support may include: attending medical appointments and school meetings with families, linking families to community-based resources, and helping parents connect with their peers. RAP is a program of the Child Health Specialty Clinics. This program provides teams (which include family navigators, Registered Nurses, and Advanced Registered Nurse Practitioners) to help all Iowans aged 0 – 21 years access diagnostic services, care coordination, family support, and help navigating the educational system. Early ACCESS is Iowa’s early intervention system, which provides services to infants and toddlers age 0 – 3 years with developmental delays. It is funded by the Individuals with Disabilities Education Act (IDEA). Most services are provided by the local Area Education Agency (in the Iowa City area, that is the Grant Wood AEA), while some are provided by CHSC. Early ACCESS may provide a wide variety of services, including speech therapy, physical therapy, occupational therapy, nutrition/feeding services, audiology and many more. The GWAEA offers a wide variety of therapeutic, educational, and early intervention services to parents and children in our area. Their Autism Core Team provides agency in-services, on-site in-services, team consultation, student observation, IEP meeting support, functional behavior analyses, peer awareness and education, and a variety of other services to help support individuals n the autism spectrum and the staff working with them. Each AEA in the state has at least one Parent-Educator Team, available to provide Disability library materials (available to school and parents), transition assistance, IFSP/IEP consultation by phone, face-to-face, for parents and educators, referrals to resources, advocacy groups, other families and teachers. Go to the PEP website to find the latest PEP News Bulletin. Wherever you are on the spectrum, whether diagnosed or not, join us for support and community in a space where you can be yourself. This group meets the 2nd and 4th Saturday at Uptown Bills in Iowa City. ETLC offers speech, feeding, and language comprehension therapy, in addition to programs to help children with reading and mathematical challenges/delays. They also offer a half-day “Language Enrichment Academy” for preschoolers and school-age children (who are homeschooled or dual-enrolled). The Genesis Outpatient Pediatric Therapy Clinic in Coralville, Iowa provides compassionate, quality rehabilitative care to all children with a variety of therapeutic needs. Services are provided by expert therapists with years of experience and certifications in their respective areas of specialization. They work with kids with a variety of disabilities and developmental delays. Genesis therapists are passionate about pursuing innovative treatments. As well as educating therapists, health care providers, and families nationwide on unique techniques that are provided at this clinic. For more information check out their Facebook page! 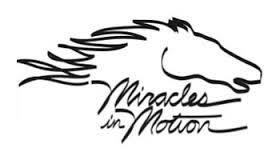 Miracles in Motion is a therapeutic equestrian center located about 15 minutes north of Iowa City. They offer several programs, including hippotherapy (e.g. physical, occupational, or speech therapy is delivered while the patient is on horseback) – which is billed through a therapeutic agency, and therapeutic riding (private pay), which focuses on building strength and confidence for riders with social, motor or other developmental challenges. Dr. Angela O’Connor is a board certified pediatrician with more than 20 years in practice. She has a special interest in autism (her oldest son has Aspergers) and went through training to be able to administer the Autism Diagnostic Observation Scale (ADOS-2). She usually schedules an initial consultation with parents and patient to discuss concerns and then schedule for testing if this seems appropriate. She provides a detailed report of the testing, any diagnosis and recommendations for further treatment and evaluations and help with finding resources. Dr. O’Connor prescribes medications for very select cases but generally refer to psychiatry or Behavior Pediatrics if meds are needed. W-J SHC is part of the University of Iowa Department of Communication Sciences and Disorders. Under the close clinical supervision of faculty, Communication Sciences graduate students provide evaluation and therapy services to children who are in need of developing and expanding their speech and/or language skills. West Music has a variety of programs to meet the needs of individuals on the autism spectrum, including Music Therapy, provided by Board Certified Music Therapists, Adaptive Lessons, and a variety of community choirs. 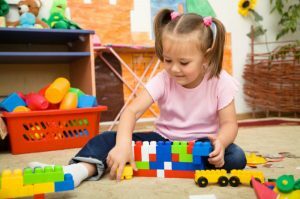 Handicare has been offering childcare services for children with disabilities, from birth to third grade, for 30 years. Programs include before- and after-school care, summer programming, daycare, and transportation. Handicare has a high staff to child ratio.